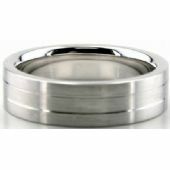 14K Gold 6mm Diamond Cut Wedding Band 638. 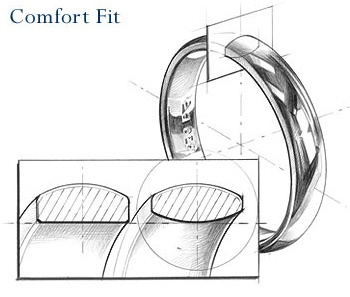 This flat modern ring has a satin finish and two thin bright cuts going parallel to the 14K Gold Diamond Cut ring. 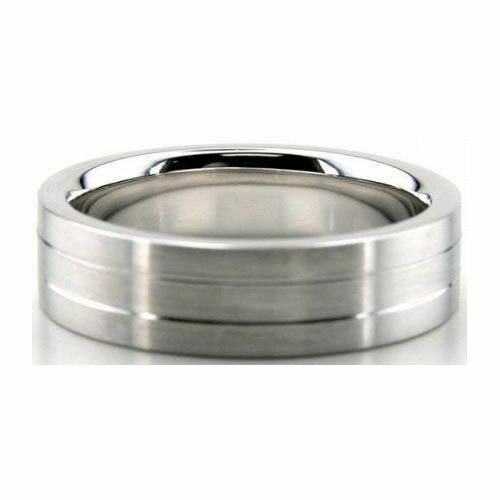 The width of this ring is 6mm, and is beautifully made by hand by our craftsmen in our facilities. This wedding band along with all of our other pieces, are manufactured in the Diamond District of New York City.